The glossy colour magazine familiar to Australian Speedway fans will feature a well-documented review of World Series events and personalities including articles focusing on the popular Speedweek Carnival, our USA based competitors, The Devil and Western Swings plus a full review of WSS31 in the April Edition. Managing Editor Phil Jordison, an avid speedway historian who has reported on the series since its inception in 1987 is thrilled to be ‘on the road’ again. This exciting aspect of the association is an innovative approach to the official QSS World Series Magazine. For the first time Oval Express will include a comprehensive segment dedicated to WSS31. The second half of the magazine will be the official WSS Magazine and will be on sale at your nearest stockiest from mid-December and at QSS WSS31 venues. WSS31 Co-ordinator Shawn Mortimer said this was a project 18 months in the making and trusts it will be a great record of posterity for all concerned. 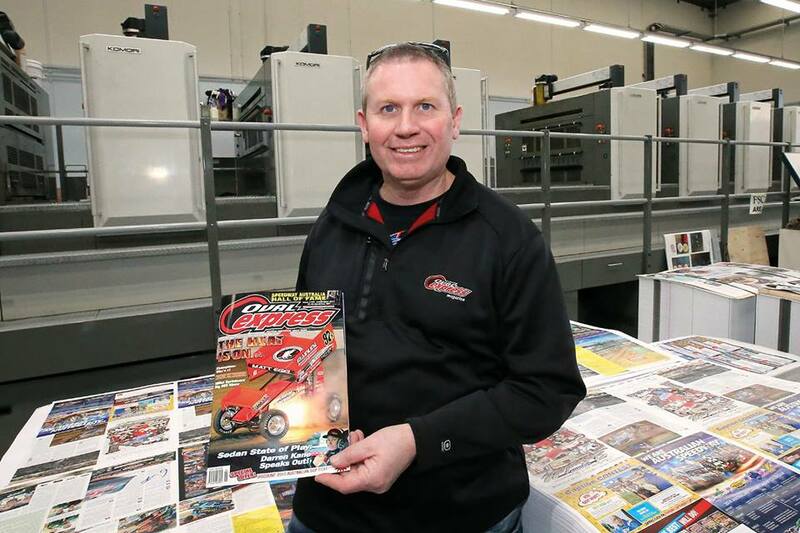 Photo: Managing Editor of Oval Express Phil Jordison recently celebrating the 200th edition of Oval Express Speedway Magazine.